You can get all the samples you want at Ichihuku 一福堂 in Taichung. 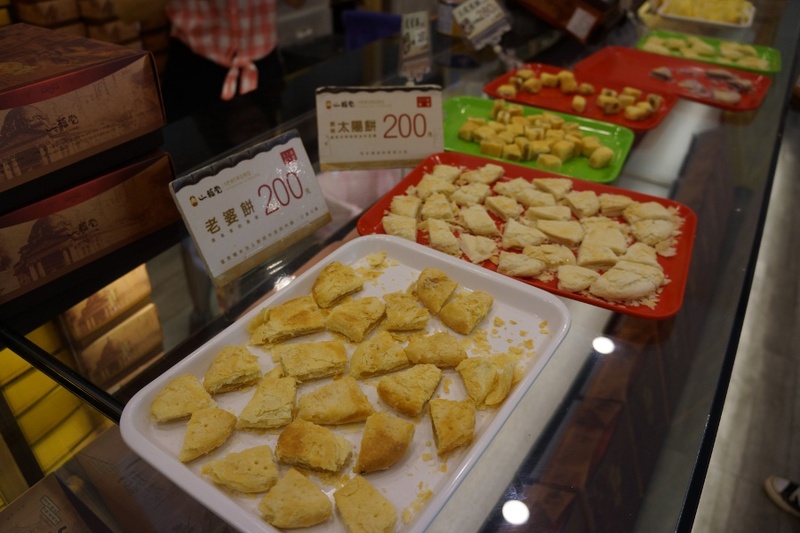 Taichung’s tastiest creation is the suncake, a flaky pastry made with malt sugar. Though not the most famous suncake seller in the city, Ichihuku 一福堂 makes a good one, while also offering some other great options including a delicious lemon cake. Check out some photos from my visit.